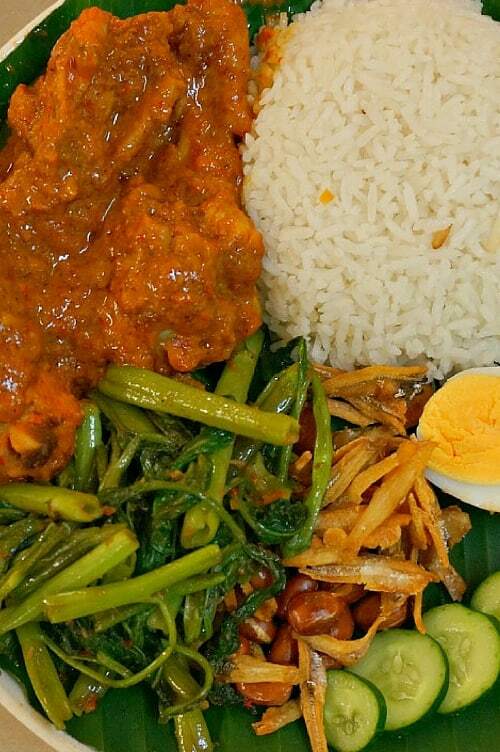 Malaysia is known for its cuisine. With the blending of Asian and Indian influences (among others), you can imagine the exotic flavors that come into play. 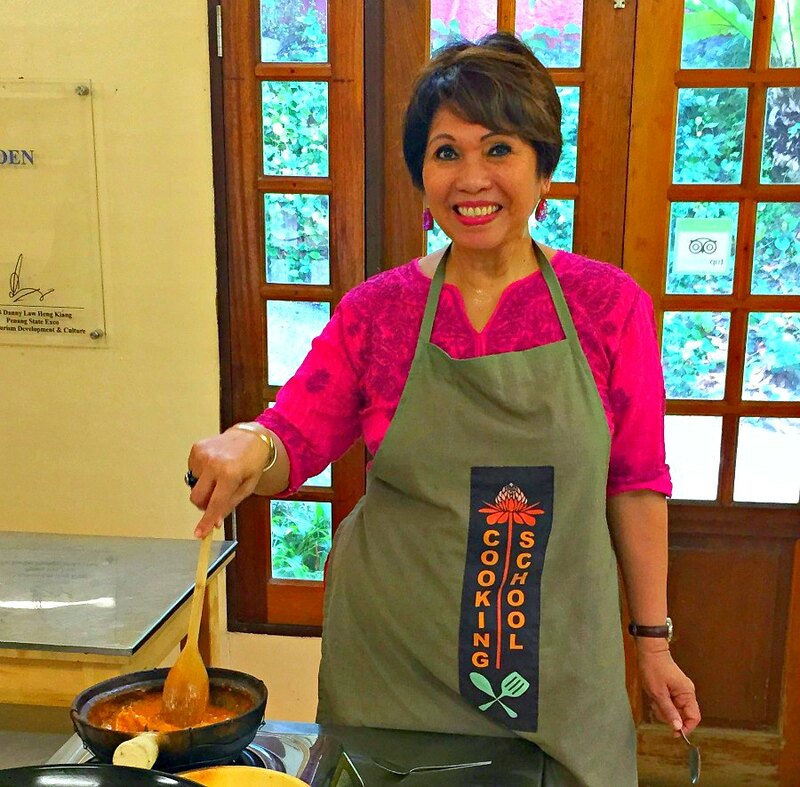 We decided to take a cooking class while in Penang, Malaysia in order to unlock the secrets that make this world-renown cuisine. And as it turned out, the setting for the class was as exotic and special as the food. 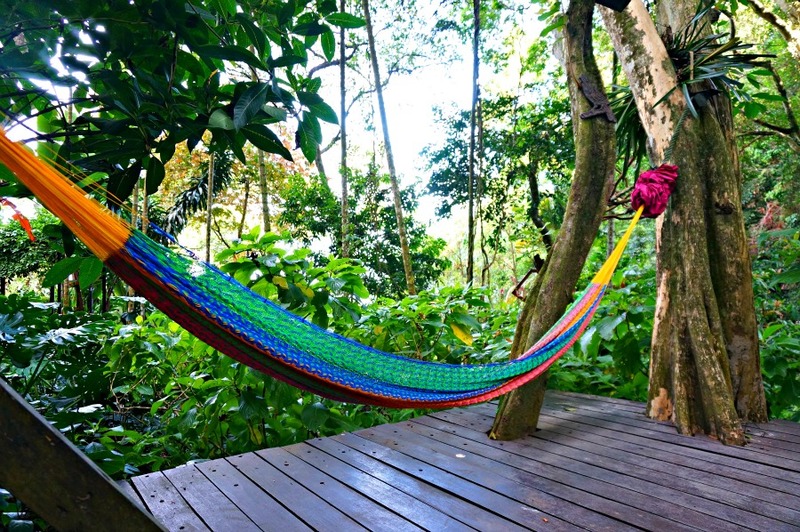 The Tropical Garden Cooking School is in the center of an eight acre jungle property in the northern Batu Ferringhi area of the Island of Penang. 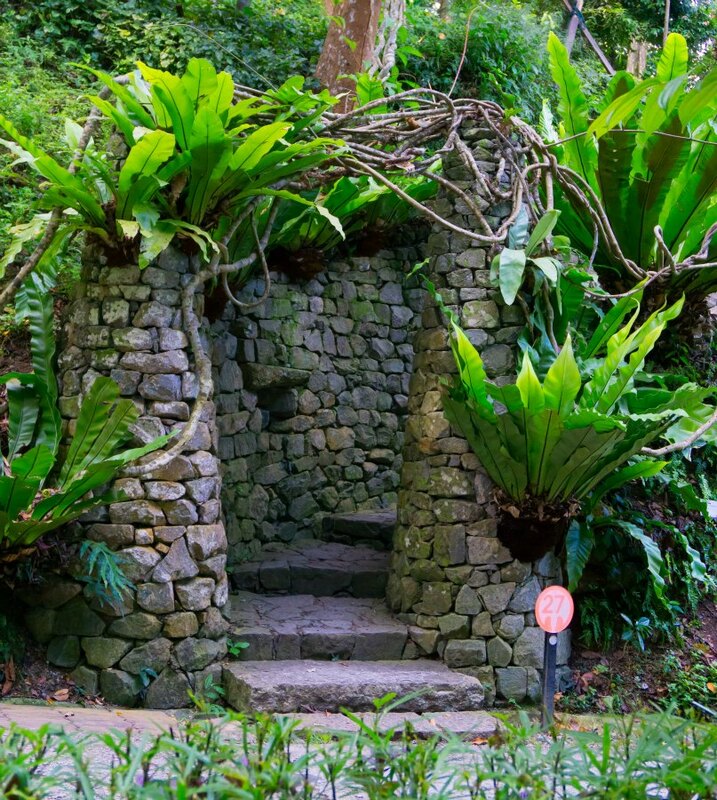 It was a former rubber plantation that was transformed into a garden setting, featuring of 500 species of flora and plants. The founders planted a variety of herbs and spices on the property, including trees whose bark produces cinnamon and shrubs bearing fresh peppercorns. I have to admit we were a bit conflicted in this gorgeous place. 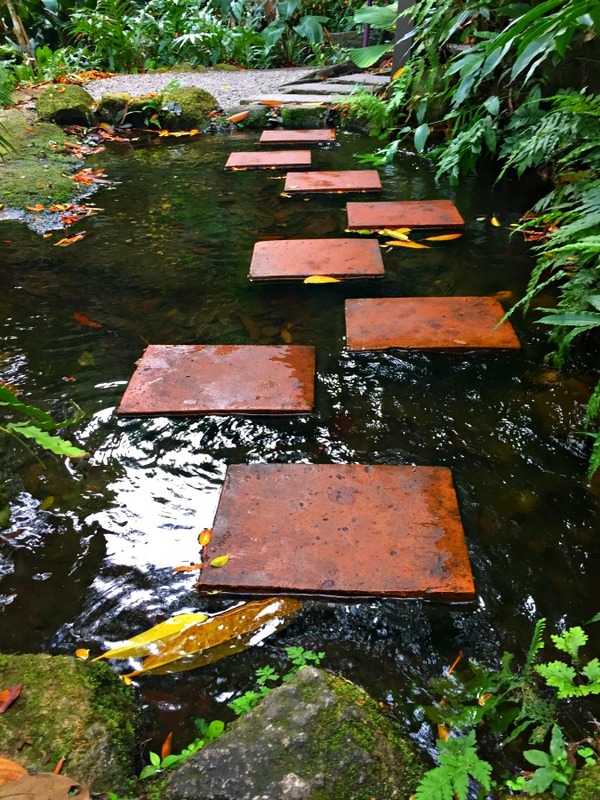 We really love to cook, and had come to learn the secrets of Malaysian cuisine, but we felt we could have spent the entire day relaxing and wandering around the Tropical Spice Garden’s property. 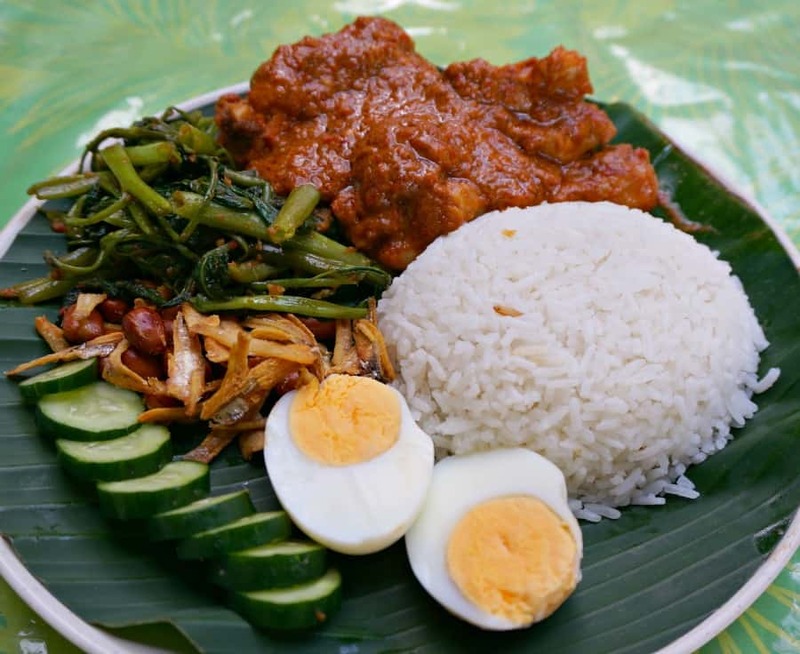 Despite the lure of the garden, the promise of our first taste of authentic Malaysian food was more than enough to get us into the kitchen to start cooking. In the battle of priorities, the stomach often wins. Besides, there was plenty of time to explore and shop for spices in the gift shop after the class. First up – getting right to the spice of the matter. Chef Rohana welcomed us and gave us a quick overview of the food we were going to prepare. Some of the herbs were completely new to me. I found out we were going to be making our own coconut milk from scratch, and giving our muscles a workout by making an earthy toasted coconut paste to add to our chicken dish. Even before getting started I was thinking about how much fun it was going to be to try to replicate the dishes at home for my family and friends. Won’t they be impressed! 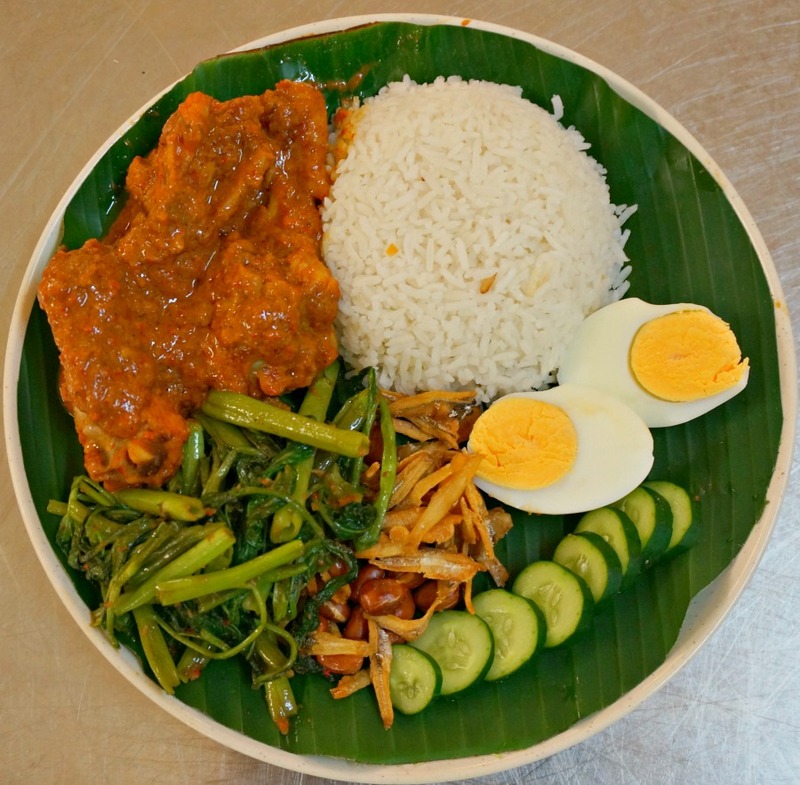 Today the menu featured Chicken Rendang (chicken stewed in a coconut and curry sauce with toasted coconut paste and lime leaves), Stir-fried Kangkung (water spinach or Indonesian kale) and traditional accompaniments consisting of coconut rice, a boiled egg and a mixture of dried fried anchovies and peanuts. Ok, maybe making this at home won’t be as easy as I thought. 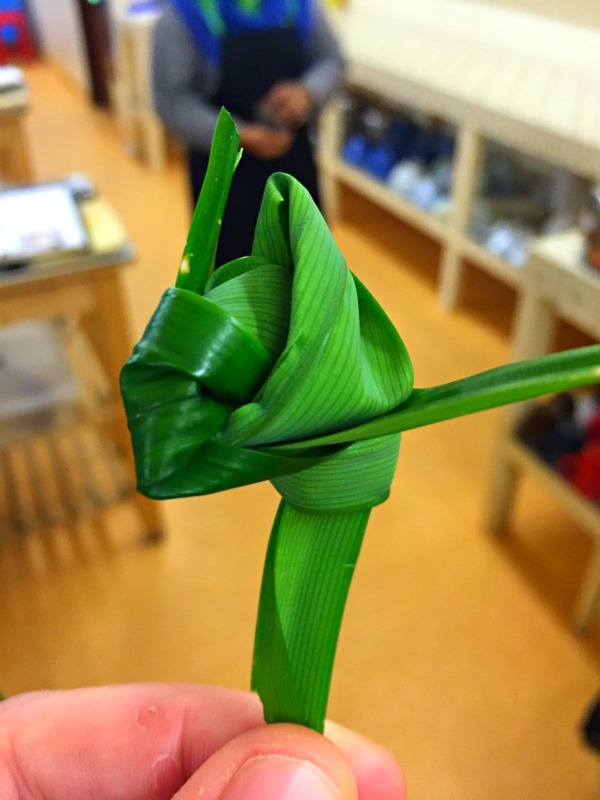 This pandan leaf was cooked with the rice, steamed in coconut milk and water with a little ginger. Rohana assured us that this product is available in Asian markets or could be omitted without seriously compromising the recipe. And the labors we took to add water and squeeze the juice from the shredded coconut, we learned, could be replaced by opening a can of store bought coconut milk and adding a little extra water. With these adjustments, my confidence about making the dishes at home was somewhat renewed. 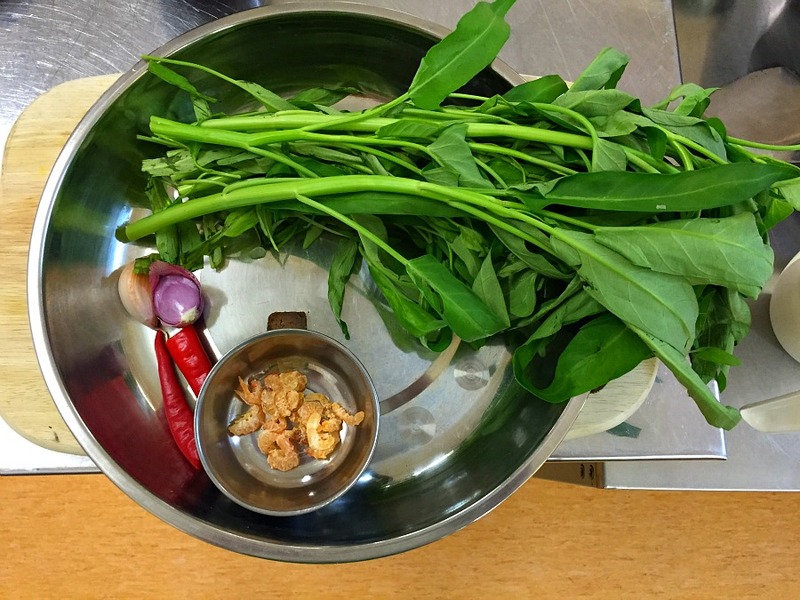 The sauteed kangkung that we made with a curry paste are also available at some Asian markets, but using another leafy vegetable such as standard spinach would work well too. 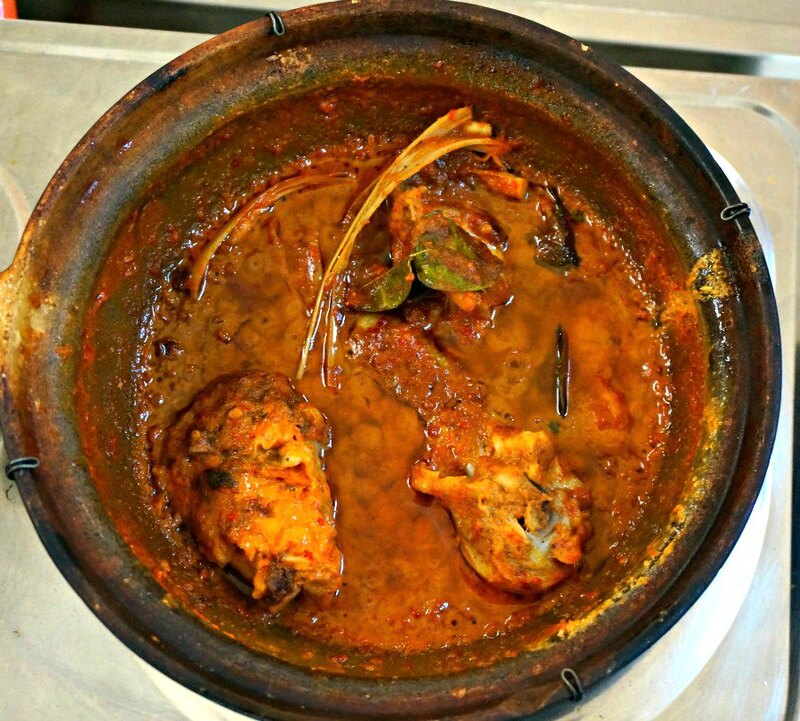 The biggest time saver is the availability of commercially produced coconut paste to add to our chicken rendang. It was fun toasting the coconut in a hot wok until it became coffee colored and grinding it with a mortal and pastel until it released its oil and became a shiny paste. 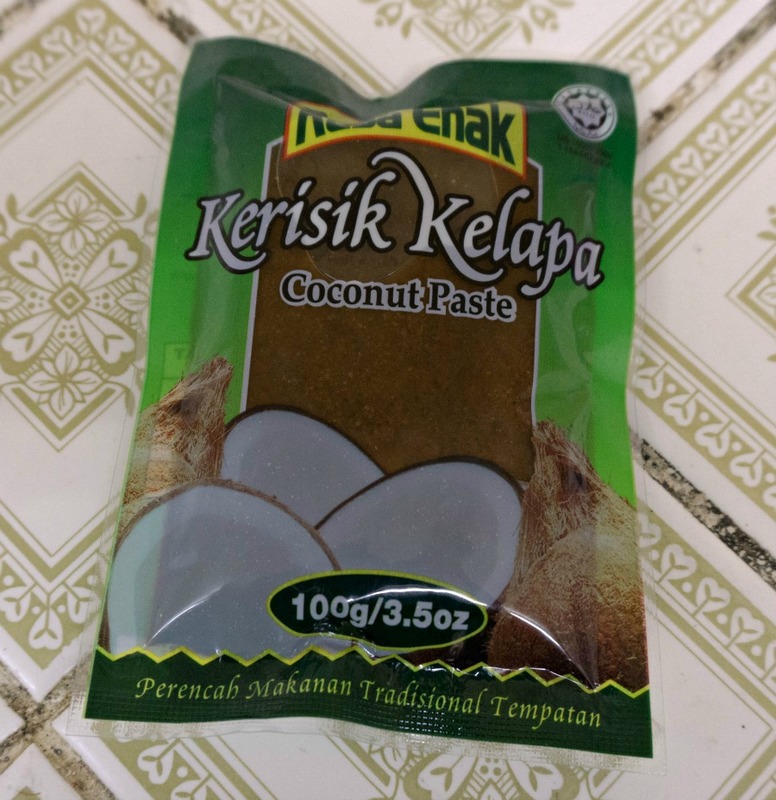 Chef Rohana told us it is possible to purchase the precious paste in Asian markets if you can’t find fresh unsweetened coconut at home. We simmered the chicken in the curry paste and coconut milk that we made and simmered it in a clay pot until the broth thickened and the chicken was cooked through. At the very end we added the dark coconut paste and allowed the dish to sit. This is one of those dishes that I imagine would be even better on the second day, after all of the flavors had more of a chance to mingle. In fact, Rohana told that typically it is left to sit for a few hours before serving, but we didn’t have time to wait. But I can tell you that even on day #1, the chicken rendang was creamy, slightly nutty and spicy and was absolutely delicious. 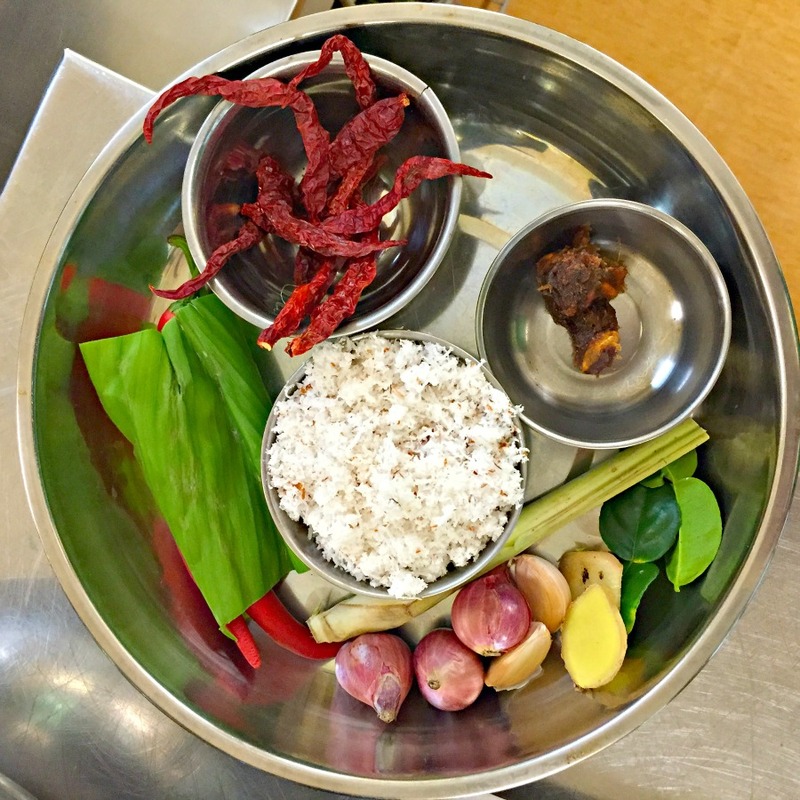 The whole thing came together in a celebration of color and flavor that we now know, is what Malaysian cuisine is all about. If you are adventurous and want to try some of the recipes at home, I’ll be adding some links soon. 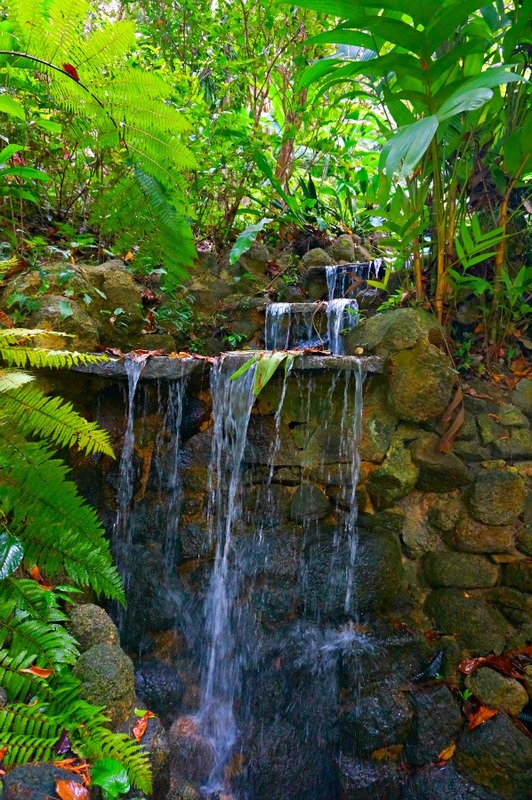 But for a real treat, make your way to the Tropical Spice Garden yourself and enjoy some of the best food in the world in a setting that truly does it justice. 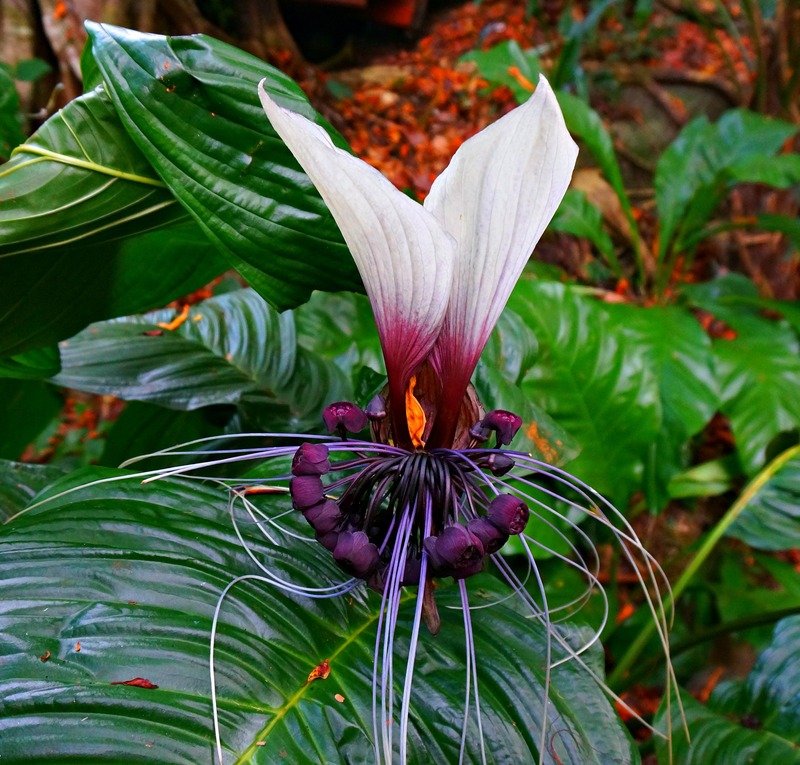 A Special thank you to the Tropical Spice Garden who hosted our day with them. As always, our opinions are our own. 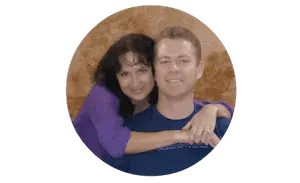 Note: Some of the links on this page are affiliate links, which means that if you follow them and or make a purchase, we get a small referral fee at no additional cost to you. So click away, and if you do, thank you in advance, we appreciate your support! 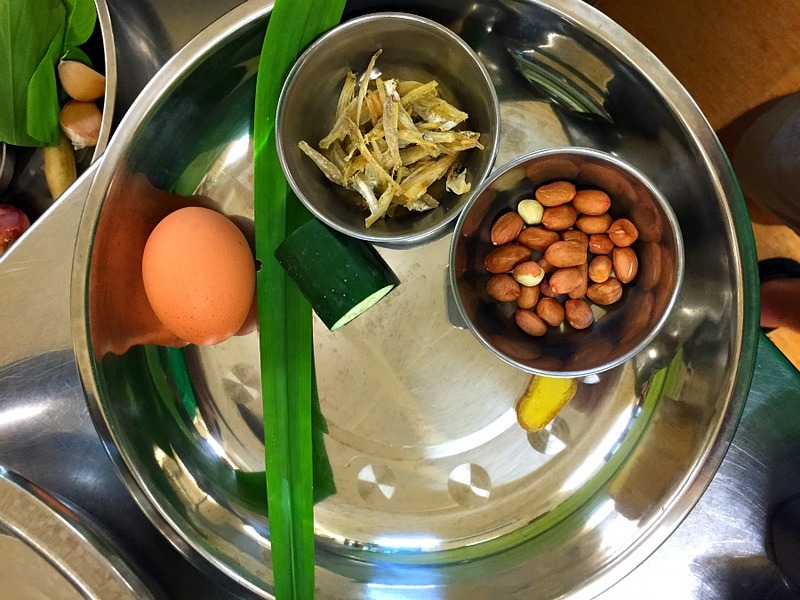 Any vegetarian Nasi lemak, Penang prawn noodle classes? 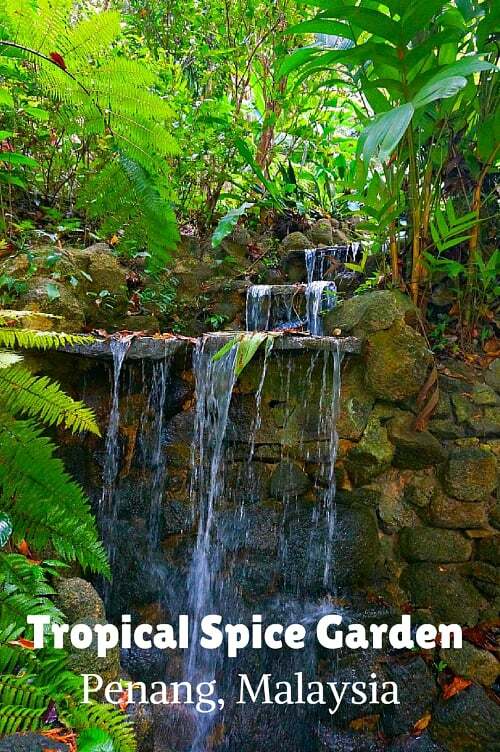 You can contact the Topical Spice Garden – they can probably work out a class for you. Have fun! These foods look delicious and I love trying new foods. Although I am fasting now so looking at these foods is not such a great idea.